I got a new cell phone on the weekend. Rather than following my previous path of least technology, I decided to go with something a bit more up to date this time. 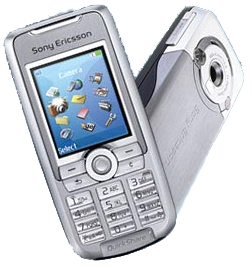 So I got the Sony Ericsson K700i, which has a camera, colour screen, web browser and a bunch of other functions that go beyond my previous cell phone use, which was making calls and sending text messages. This entry was posted in Thoughts and tagged Cell, ericsson, k700, k700i, mobile, phone, sony. Bookmark the permalink.